The National Asset Management Agency (NAMA) has revealed in its annual report that it made a profit of €247m after tax in 2011. This compares to a 2010 loss of €1.18bn. The agency made an operating profit, before loan impairment charges, of €1.28bn in 2011, up from the €305m profit recorded last year. The agency acquired a further €2.8bn worth of loans last year, bringing the total to €74bn, for which NAMA paid the banks €35bn - representing a discount of 57%. Brendan McDonagh, Chief Executive of the Agency, said that 2011 was a year of great progress for NAMA. Mr McDonagh said: "The agency made a profit for the taxpayer. We successfully completed the first phase of our operations – acquiring loans from participating institutions - and our focus now is on generating the best possible return from these loans. "We have also completed the review of all Debtor Business Plans. Cashflow generation is vitally important for NAMA and remains very strong. "The task before us is significant but I am optimistic that NAMA will succeed in doing the job set out for it by the Oireachtas." Mr McDonagh said that after 27 months in operation, the agency was starting to see movement in the Dublin property market. Its annual report showed that 90% of its €17.5bn Irish property portfolio was in or around counties with large urban centres such as the greater Dublin area, Cork, Limerick and Galway. Some €11bn alone was in Dublin and €2bn in Cork. There was also an €11bn portfolio in Britain, with €6bn located in London. In the North, the portfolio was worth €1.3bn and included about €600m in Belfast. Overseas there were loans linked to €1bn of property in Germany and more than €400m in the US, with the bulk of the remainder in Portugal, France and Belgium. Nama said it had taken control of €74bn worth of loans, after it brought in another €2.8bn. It said it had approved asset sales of €9.2bn, with sales of€5bn by the end of May, with a further €2bn in the pipeline. Fianna Fáil finance spokesman Michael McGrath said the profit figures put out by Nama did not tell anything. “I welcome the fact that Nama is reporting an after tax profit for 2011 of €247m, (but) this measure doesn’t really tell us a whole lot,” he said. LONGFORD County Board have been forced back to the drawing board again with their proposed €1m Centre of Excellence at Killashee. An Bord Pleanala has now raised questions about the drainage on the site that Longford has proposed for its new HQ, comprising three all-weather pitches with floodlights and a clubhouse and car-park. Longford were forced to submit a second planning application for the project after the initial one was turned down on three separate grounds. They then received planning permission after submitting a new clubhouse design and pitch layout. But, on foot of another objection, questions have been raised about the site's suitability, with an inspector for Bord Pleanala reporting that he's "not convinced" the plan will not increase flooding risk in the area. Engineers working for Longford County Board propose to strip the topsoil and lay a base of 320mm for the pitches to rest on, but the inspector questioned the stability of these pitches when so little excavation is proposed and when the local water table is so high. An Bord Pleanala have given the county board until September 6 to address the latest problems. The issue was discussed at Wednesday's County Executive meeting and Longford County Board released a statement yesterday, saying "An Bord Pleanala are seeking clarification/greater detail on only one specific area of our application. "Our planning consultants, design team, etc are dealing with this matter on our behalf. Members of our management committee have met with them and they are quite confident that the issues raised by the Bord can be addressed to everyone's satisfaction." The planning delays are reportedly not increasing the costs substantially because Longford bought the land out of their own resources and have no borrowings on the project yet. A DUBLIN residents group claim a high-voltage electricity connector between Ireland and Britain will not be operated in accordance with its planning permission, the Commercial Court heard. Rush Community Council Ltd has brought proceedings against Eirgrid over its concerns about the alleged association between a certain type of electro-magnetic fields generated by high voltage power cables and childhood leukaemia. Eirgrid, in opposing the proceedings, has denied the council's claims. It submits that the interconnect will be operated in accordance with its planning conditions and that it will comply with international guidelines on electric and magnetic fields as reviewed by the World Health Organisation, the EU and the Government. The proposed interconnector will connect the power system to the electricity grid in Britain through undersea and underground cables. It is expected to have enough capacity to supply about 350,000 homes and is due to be completed later this year. The case centres on the route of the interconnector and a section which comes to shore from under the seabed at North Beach in Rush to the Rogerstown estuary and will run close to residential areas in the town. In its action, the council is seeking an order restraining Eirgrid Plc operating the proposed East West Interconnector in any manner which results in the creation, production or emission of time-varying magnetic fields. It is also seeking declarations, including that if the interconnector creates any time-varying magnetic field, it is unauthorised development and that no current should be passed through the proposed power line as long as any time-varying magnetic field is generated. Opening the case yesterday, James Devlin SC, for the council, said that planning permission was granted by An Bord Pleanala in September 2009 for what is accepted to be an infrastructural project of significant national importance. Despite local concerns about health risks to people living in Rush, permission for the project was granted after the Bord conducted an oral hearing. Counsel said that prior to and during the hearing Eirgrid had maintained that the direct current (DC) carried by the interconnector's cables will flow in only one direction and would only produce a static or non-variable magnetic field. Mr Devlin added that Eirgrid submitted evidence that it would only carry a direct current the interconnector's cables would produce a magnetic field lower than the naturally occurring background geomagnetic field of the Earth, and that there was no risk to public health or safety. However, the community council persevered in their efforts for an independent expert to examine the potential health risks of the interconnector. Counsel said it was agreed between the parties that Dutch-based experts KEVA would prepare a report. In June of 2011 KEVA produced a report that stated that the cable circuit will also generate a time-varying magnetic field due to time varying currents superimposed on the DC current, called the ripple, due to changes in the transported current. Counsel said that this information came contrary to the reassurances given by Eirgrid to An Bord Pleanala. Counsel added that the residents had health concerns with varying magnetic fields because of their "statistical association" with childhood leukaemia. As a result of this finding it was the council’s case that the proposed interconnector was going to operated in a manner which approval had not been granted for. The issue of varying magnetic fields had not been dealt with by Eirgrid during the oral hearing conducted by Bord Pleanala, and Eirgrid had not sought to have the matter referred back to the board for a variation of the approval granted, counsel submitted. The case before Mr Justice Michael Peart continues. Bord Pleanala has given the green light for a major mixed-use development at the Butterly Business Park at Kilmore Road, Artane, Dublin 5. The developer, Patrick Butterly & amp; Sons Ltd has been given a 10 year permission for the project based on plans for 13,396 sq m of offices and employment generating units, 1,158 sq m of retail space, a 1,070 sq m medical centre, a pharmacy, crèche, hotel, and a 689 sq m community facility. The planning application also included 135 apartments, 26 duplexes and 17 four bedroom houses. A spokesperson for the developer welcomed the decision, and added that the Bord's conditions are being reviewed in advance of submitting the necessary pre-development information to the planning authority. A memorial plaza will commemorate those who died in the fire at the former Stardust night club on the site. Bord Pleanala's inspector had recommended that these latest plans, which had previously been approved by Dublin City Council, should be refused in the belief that the development would undermine the employment potential of the site, would result in over development of the site and would add to traffic congestion. However the Bord said that its conditions and plan revisions addressed the key concerns including the traffic congestion which would be reduced by the use of two access points. The Bord has curtailed the density by both omitting Block C1 and the two storey element of the hotel block parallel to Newlands Court. This will reduce the number of flats by 18 and also reduce the number of hotel bedrooms from 81. Ranging in height from two to six storeys, the project is to be built in nine blocks and include a basement car park. Currently the Butterly Business Park accommodates 77 commecial units ranging from 100 to 3,000 sq m, and all but 11 of those are occupied. Agents Turley & Associates are quoting €8 per sq ft for space. Meanwhile the discount retailer Lidl is awaiting a Bord Pleanala decision on its application for a new store on a site at the business park. 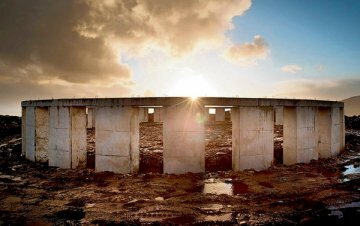 PLANS by former developer Joe McNamara to retain his controversial 'Achill-henge' project have been dashed after An Bord Plenala refused his retention application. Mr McNamara had appealed Mayo County Council's decision that the structure required planning permission. He claimed the Stonehenge-like build was exempt from planning laws as it was an “ornamental garden”. However, An Bord Pleanala has now ruled that the structure is not an exempted development. The body sided with Mayo County Council, ruling that the structure was a development in planning terms and required planning permission. Mr McNamara constructed the structure, which is known locally as Achill-henge, over the course of one weekend at Pollagh on Achill Island last November. He had no planning permission for the build but had argued that it was exempt from planning laws. Mayo County Council said it would now consider the matter in the coming days. Mayo County Council brought a High Court injunction against Mr McNamara's continued work at the site last December. The former developer was jailed for three nights at that time after he was found to be in contempt of a court order requiring him to cease working on the structure. The High Court later ruled that An Bord Pleanala should make the final decision on the future of the site. However, the structure has proved a draw for tourists and many locals believe it unlikely that Mr McNamara will remove it. The structure is 4.5 metres high and 30 metres in diameter. Mr McNamara has previously described the structure as “a place of reflection”. Joe O’Reilly, Séamus Ross, Gerry Conlan, John McCabe, Gerry Gannon, Gerry Maguire, Patrick Kearney,Seán Reilly, Brian O’Farrell and Paddy McKillen. The Irish Times have provided a short profile of each. The man known as the “Anglo Avenger” over high-profile protests against Anglo Irish Bank must take down a Stonehenge- like structure built as a place of reflection on Achill Island, Co Mayo, following a ruling by An Bord Pleanála. Dublin’s first skyscraper is either a modernist icon or no longer fit for purpose, depending on who you talk to. A SKETCH of Liberty Hall featured on the sidelines of a recent workshop on what should be done with the Central Bank. “What about me?” it asked rather plaintively. 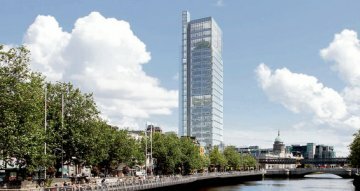 Indeed, the fate of Dublin’s first “skyscraper” is now firmly in the hands of An Bord Pleanála. Following a seven-day oral hearing, the arguments for and against its proposed demolition and replacement by a much larger building will certainly be clear to the board’s planning inspector, Mary Crowley. They also deserve a wider audience. LESS THAN a year ago, Minister for Transport Leo Varadkar ordered the National Roads Authority to “rein in spending on planning and preparatory works” for a large number of road schemes because of cutbacks. Yesterday, he was able to announce that the motorway budget was being “effectively restored” by the stimulus package. So have public-private partnership (PPP) projects for “school bundles”, under which 12 mainly post-primary schools will be built in counties Clare, Cork, Kildare, Louth and Tipperary. As has the long-stalled plan by Dublin Institute of Technology (DIT) to relocate to the extensive former Grangegorman hospital site in the north inner city. A NORTH Co Dublin coastal community group is suing Eirgrid in a row over cables for an east-west electricity interconnector going through the town of Rush. Rush Community Council Ltd has brought proceedings arising from concerns about an association between a certain type of electro-magnetic field generated by high-voltage power cables and childhood leukaemia. The group alleges the interconnector will be operated in a manner not in compliance with planning permission. GERMAN discounter Aldi has got approval from An Bord Pleanála to develop a single storey supermarket on the site of a former tramyard at Terenure Road East in Terenure, Dublin 6. The permission also provides for 85 car-parking spaces, 77 of them at basement level. National grid UK has signed a contract with Element Power to provide electricity to Britain from Ireland through two subsea cables as part of an €8 billion renewable energy investment. The new grid connection, which was awarded to global renewable energy developer Element Power, will create 10,000 construction jobs on both sides of the Irish Sea, the company said. The 54,000sqft facility planned for Munster AI's site outside Mallow has been set back by more than four months due to an objection from the National Roads Authority (NRA). An Bord Pleanala upheld the NRA's objection to a new entrance to the site off the N73 Mallow to Mitchelstown road. This road is being upgraded following the shelving of plans for a new motorway to Limerick. The objection forced Munster AI to resubmit an application last week, which will take a minimum of two months to process. However, sources close to the project claim that they are confident that the NRA will have no objection to the centre using the existing entrance to the site. It is expected that the centre, which is part of an overhaul of National Cattle Breeding Centre's (NCBC) new biosecurity programme following an IBR outbreak at NCBC's headquarters in 2011, will be constructed within two months of being granted permission. Forty bulls are being housed in the existing buildings that were decommissioned seven years ago. It is hoped to have up to 72 bulls in two separate sheds once the facility is up and running. This June article has been emailed to me and I have included it in full below. Nemo iudex in causa sua. This Latin phrase, which translates as "no man should be a judge in his own cause", is a fundamental principle of natural justice. Except in Ireland. Housing and Planning Minister Jan O'Sullivan published the long-awaited Planning Review Report last week. The Labour Party has successfully positioned itself as the ethical watchdog of Fine Gael, or has it? The report examined allegations of malpractice within seven local councils in Carlow, Cork, Dublin, Meath, Galway and Donegal. Civil servants at the Department of the Environment, Community and Local Government conducted this internal review into their local authority colleagues. The findings? The "rigorous analysis" by the department concluded that the "allegations do not relate to systemic corruption in the planning system". There was no "prima facie evidence of malfeasance in any of the seven local authorities". On the other hand, the Mahon Report, published three months ago, found that "systemic weaknesses" existed within the planning system. The department officials, it seems, reject the independent planning inquiry by Mahon, which took 15 years, 400 witnesses and 60,000 pages of evidence. The very idea that civil servants would publicly rebuke the officials that they interact with on a daily basis is simply ridiculous. Mahon went on to say that there "was little appetite on the part of the State's political or investigative authorities to take the steps necessary to combat it effectively or to sanction those involved." Fine Gael and Labour control all of the councils under review, with the exception of Donegal. Why would the government parties embarrass themselves by having independent investigations into the actions of their own councillors? Mahon concluded that "those involved operated with a justified sense of impunity and invincibility". They still do! Although the internal report raised "serious matters ranging from maladministration to inconsistency in application of planning policy", it decided not to name any planning official. This was because the allegations "were not backed up by the evidence cited". But how objective was this internal report? It appears that the civil servants only met with senior council officials and not with any of the complainants. No one was held accountable, again. The complainants included the office of the Ombudsman; the local government auditor service; An Taisce; a former TD; architects and members of the public. Their complaints related to failures of corporate governance within the planning system. This included maladministration; planning laws not enforced; misuse of planning powers; professional planners sidelined; permission granted on flood plains and a general lack of transparency over decisions by planning authorities. Why were so many of these complaints dismissed? Well, according to the internal report, the planning "process involves, of necessity, an element of interpretation or discretion on the part of the final decision maker". This is what happens when you investigate yourself, you get to decide the definition of interpretation and discretion. The 2010 Quinlivan Report in County Carlow went much further. This remains the only independent planning review of a local authority to date. No whitewash here. Names were named. Quinlivan looked at how the council operated, in particular the actions of the then director for planning, Seamus O'Connor. The report pointed to "a perceived culture of leniency and inaction" with regard to "compliance with, and application of, planning law". Irregular practices and administrative deficiencies included O'Connor having unaccompanied meetings with planning applicants. His failure to record notes of many of these one-to-one meetings was a direct breach of the Planning and Development Act 2000, which specifies that records must be kept. Record keeping was evidently a problem in Carlow. "Files get 'lost', this can occur but perhaps they get 'lost' due to being removed from offices," Quinlivan noted. So, what of the 120 recommendations (120!) made by Quinlivan two years ago? The department's internal review notes that the "implementation of the report remains ongoing" because "not all of the recommendations have been fully delivered on as yet". And what happened to O'Connor after he was found to have broken the law? He is no longer the director of planning for Carlow. He is the director for housing and with the exact same salary as before. No consequences. We should have faith then in the internal review which has promised to implement 12 steps to tackle weaknesses in the planning system. But these 12 steps do not include the Mahon Report's key recommendation of a Planning Regulator. The purpose of this independent body is to have the "power to investigate possible systemic problems in the planning system" and enforce compliance with planning policy. Is Mahon the new Kenny Report? What chance is there of any accountability, or anyone being held responsible when files mysteriously get "lost", when the Government controls the councils under investigation and officials investigate themselves? The system is looking after itself. It took the unusual case and sensational evidence of Jenny Forsey to secure the conviction of former Fine Gael councillor Fred Forsey Jr in Waterford last month. It would be rather naïve to assume that he was the only councillor in Ireland to have accepted corrupt payments from a developer in the last 10 years. The long-term consequences of poor planning decisions impact on the quality of life for thousands of Irish people every day. These are not historical issues that can be dismissed as part of the past. They are the outcome of appalling, inexcusable and outrageous decisions made by council officials and county councillors. For instance, the ghost estates that litter the country, like the 14-house development at Annagh Banks in Castlemaine, Co Kerry, which goes on sale next month for €50,000 -- or €3,500 per house. Or the heart of Limerick city, which has been hollowed out by erratic development in the suburbs. Families are stuck in homes built on flood plains. The pyrite report, due in July, will outline how inferior building materials have caused severe structural damage to thousands of homes. Priory Hall was built under the nose of Dublin City Council, who failed to enforce building regulations. These decisions were made by local politicians and council officials. And the Labour Party, of all parties, is complicit in the decision to leave the past safely where it is. Financing is in place for a €75m property development in Carrickmines, south Dublin, that could generate 945 building jobs -- and almost as many again once complete, according to the NAMA-linked company behind the plans. Directors of construction company Tristor say funds are in place to begin construction immediately if Dun Laoghaire-Rathdown Council approves a planning application for the Carrickmines District Centre development on Monday. 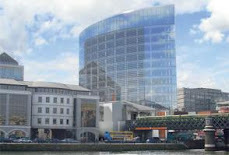 It makes Tristor the second developer with loans in NAMA to kick off a Dublin retail project in recent weeks. In May, NAMA said it would fund a €13m extension of the Charlestown Shopping Centre in north Dublin, which is being developed by the Bailey brothers. A spokesman for Tristor, which is part of developer Michael Cotter's Park Developments Group, said the company was confident their 25,000sq ft scheme would be approved. The loans of both Park Developments and Tristor are in NAMA, according to accounts filed for the companies. Tristor has debts of €52m to the state-controlled bad bank, according to accounts filed with the Companies Office. The debt fell due in 2009 but has been rolled over, with the permission of the lender, according to the accounts. Last night, a spokesman for Tristor said funding for the €75m Carrickmines project is in place through a mix of bank debt and equity. The mixed retail and leisure development has been stuck in the planning stage since 2008. The development has already been granted planning permission twice, but construction was controversially blocked by then Environment minister John Gormley in 2010. The minister wanted to limit the development to a smaller "neighbourhood" retail park. Tristor sought a "judicial review" of the minister's decision at the High Court, which ruled that the minister overstepped his powers in blocking the scheme. With the former Green TD no longer in power, Dun Laoghaire-Rathdown Council is now expected to give the okay to the scheme once more. A spokesman for Tristor said last night that the company was ready to begin construction immediately, if the scheme was approved. A report commissioned by the developer said the new centre could create 945 jobs during construction, with 900 more once the centre is operational. It will generate €80m a year for the economy, when it comes into operation, the report said. Ulster Bank's distressed property investment company, West Register (ROI) Property Ltd, has submitted plans for a major redevelopment of the Ballsbridge premises currently occupied by the Audi Centre at Pembroke Road. Located opposite the former Jurys Hotel, the threestorey building at 83 Pembroke Road was sold in February this year on the instructions of receiver Declan McDonald of PwC, who was also acting for Ulster Bank. West Register's planning application follows its purchase of the property earlier this year for around €4m -- a sharp drop on the €10m which developers Gerry O'Reilly and Bernard McNamara paid for it in 2003. The new plans include demolition of the existing three-storey 1,715 sqm building and its replacement with part two-storey, part five- storey offices with 4,400sqm of floor space including a basement level of 772sqm. It will have 12 parking spaces to the front. The premises is let to the Audi Centre as offices and showrooms at a rent of €376,000 per annum on a 10-year lease from 2009. West Register has also bought another former office building, McConnell House, Charlemont Place, Dublin 2, which was also previously owned by the McNamara O'Reilly development team. The agents on both deals, HT Meagher O'Reilly, are believed to have agreed a deal to sell the McConnell building for about €2m. MINISTER OF State for Housing and Planning Jan O’Sullivan has used her powers to warn Clare County Council that she will intervene to protect a colony of lesser horseshoe bats hibernating in a cave near the village of Quin. In an unprecedented move, Ms O’Sullivan has served a “notice of intent” to issue a direction requiring the council to amend the South Clare Local Area Plan, adopted on June 11th, so that land adjoining Poulnagordon Cave would remain in agricultural use. FINGAL COUNTY Council has refused planning permission to demolish one of the oldest houses in Howth, in Dublin, and its replacement by a much larger house in “mock Georgian” style. The Department of Heritage had advised the council that the house, called Carraig Breac, on Old Carrickbrack Road, was remodelled and extended in 1859 by eminent Victorian architect, Benjamin Woodward, for a renowned Irish physician, Dr William Stokes. 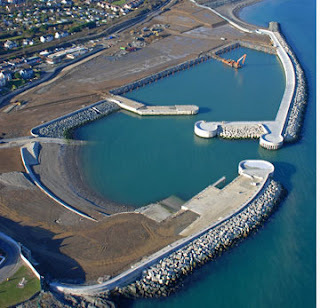 An Bord Pleanála has approved proposals to amend the redevelopment scheme under way at Greystones harbour in Co Wicklow. Fine Gael councillor Derek Mitchell said the decision removes uncertainty and helps to move the project forward. However, he said he did not expect construction of the residential area to start for a few years until the economy improves. Bord Pleanala has approved proposals to amend the redevelopment scheme currently underway at Greystones Harbour in Co Wicklow. Under the amended scheme the development will now include some 373 apartments and houses and 1,002 car parking spaces some of which are to be underground. New harbour piers have already been built but a marina has yet to be completed. A second attempt to change the city development plan to facilitate a development at a business park in Cork City has been shot down. City councillors have voted unanimously against a planner’s recommendation to grant planning for a veterinary clinic in Melbourne Business Park in Bishopstown. A previous application to change the use of the park’s Block B to a ‘local retail centre’ is currently under appeal to An Bord Pleanála. It follows city councillors’ decision last November to vote against a material contravention of the development plan to facilitate that development. It is understood Tesco Express had been lined up as the intended anchor for the larger unit of the proposed retail centre. Then last March, Melbourne Management Company applied again for permission to change the use of the park’s unit six from business, enterprise and light-industry to develop a veterinary clinic. It would have contravened materially the business and technology zoning objectives of the site. In a report to councillors, planners said despite the park’s zoning, they considered that the principle of the proposed development was in keeping with the provisions of the city development plan, which indicates the need for a new local centre for the area. 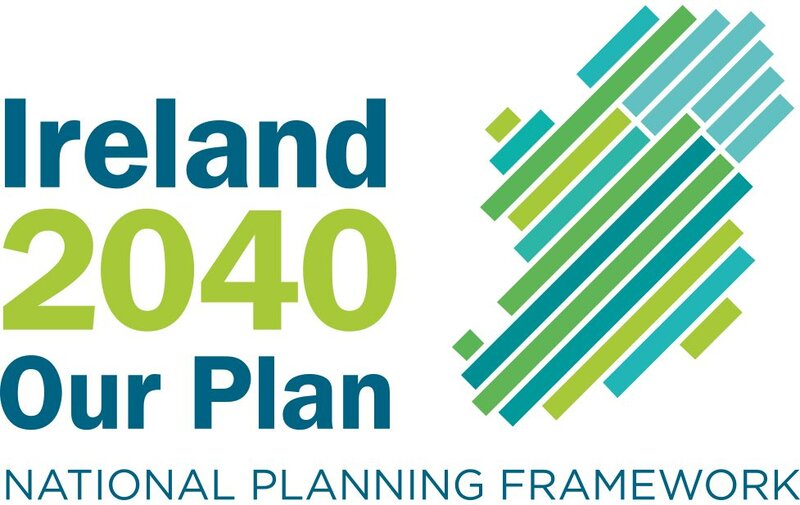 However, councillors disagreed and said the Bishopstown local area plan states that any local retail centre for the area should be developed elsewhere. And they pointed out that another veterinary clinic is located in another business park just across the road. The council’s planning committee considered the planner’s report and recommended to the full council that it be rejected. Then last week, all councillors voted unanimously in favour of the committee’s recommendation — effectively shooting the project down. The business park was built as light industrial units in the late 1980s. In 2004, permission was granted for a change of use of the park’s Block A, from light industrial use to light industry business, enterprise and retail services centre. A three-year temporary permission was granted recently for fitness, health related uses. The planner’s report said the business park, which has 18 units, has a vacancy rate of 50% — over twice the average vacancy rates in other business parks with business and technology zoning in the city. FORMER BORD na Móna chief executive Eddie O’Connor is planning a 5,000MW wind park in the midlands to plug the energy gap in the UK. Mr O’Connor said wind and solar company Mainstream Renewable Power had identified 900 eligible landowners in the midlands who could accommodate the wind turbines. THE NEW Liberty Hall development would not negatively impact on the character of Dublin’s historic Custom House, an architect for trade union Siptu told the first day of An Bord Pleanála’s oral hearing yesterday. The impact of the proposed 22-storey building on architectural heritage was one of the main themes of yesterday’s hearing. A DRAFT planning scheme which includes three new villages and a town centre at Cherrywood in south Dublin has been approved by local councillors. The scheme covers a 264-hectares site west of the N11 and mainly east of the M50 between Cherrywood and Carrickmines. THE NUMBER of local authorities with planning powers should be cut from 88 to 34, with all borough and town councils abolished, according to a report by Property Industry Ireland (PII) advocating reform of the planning system. PII, a division of Ibec lobbying for changes to help revive Ireland’s property sector, wants to make the planning system “more effective, efficient and responsive in line with future economic, social and environmental needs”.